Years ago, we purchased a hot tub from Water World. At that time, Water World also designed and constructed an incredible deck for us. When we moved to a house with a pool a few years ago, we got all sorts of fabulous advice from Water World. We regularly take samples from our hot tub and pool to them and get prompt feedback on what (if anything) we are required to do for our water. Last year, we purchased a winter pool cover for our pool. Water World came and installed it and we've never had a problem. We hire them annually to open and close our pool too. We've had multiple wonderful experiences with Water World and wouldn't hesitate to recommend them. We had a leak in our upstairs bathroom that turned out to be something larger than we would have hoped so we needed assistance. Once contacted, Vandermeulen Plumbing came immediately and helped us sort things out. The issue was explained to us and fixed at a very reasonable cost. Service was stellar from our first call to plumber at our home to making payments at the office. We've continued to use Vandermeulen Plumbing and are always confident in work completed. This company was recommended to us and we would absolutely continue to recommend them. We had issues with our air exchanger. Service was quick and knowledgeable. Options were provided with pros and cons of each. We decided on a new air exchanger and this was installed with no issues. Additionally, advice was given about the use of our new air exchanger. When our basement flooded, our insurance company recommended Advantage Disaster and Restoration. We were beyond impressed with the professionalism and helpfulness of the owners and their crew from start to finish. The team worked well under pressure and we commented on how they remained professional working in a cramped, wet space. Advice offered was appropriate and the finished results surpassed our expectations. We were kept "in the loop" at each stage and all work was impeccably completed. We would recommend Advantage to anybody and everybody! We are incredibly disappointed following our experience with One Landscape Design in Peterborough, Ontario. We are upset that there were so many delays, causing a project estimated to take 2 weeks to take about 2.5 months. During the delays, our yard was left in a state of disarray. Damage was caused to our property - some of it left unrepaired, despite having discussed the situation with One Landscape. We were not consulted on the design of our privacy panels and they were not built according to our wishes. We agreed on a compromise with One Landscape, but that was not followed through. Additionally, one side of the panels was left incomplete and there are multiple screws protruding from the panels. 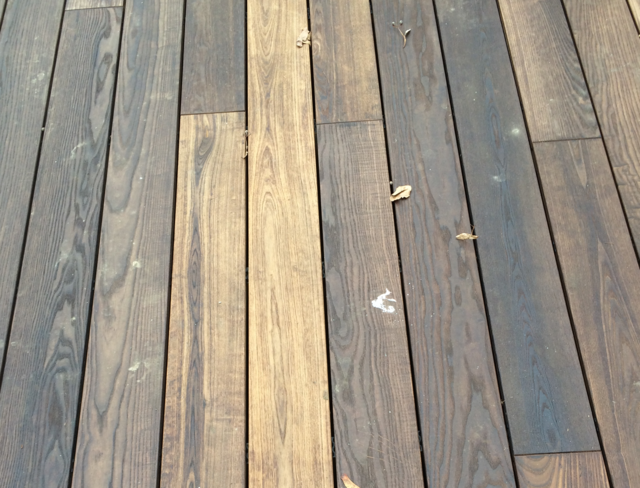 Damaged wood was used on our deck and some slats need to be replaced. Staining was done incorrectly too. There were multiple scratches left on new deck when the hot tub was positioned. We are concerned with the state of our fence, which has wires hanging out, and with multiple screws left projecting from our privacy panels. We contacted One Landscape with a formal letter of complaint but, months later, have yet to even have any of the issues discussed with us. We paid over $31,000 for the job and feel most stressed due to the experience and the end results. We would absolutely not recommend this company. I'm sorry to hear that you have had this experience; please contact our office at your earliest convenience. We pride ourselves on completing a quality job in the prescribed time frame. It is our intent to make every experience positive for our consumers. We look forward to working with you to make this experience come to a positive conclusion.